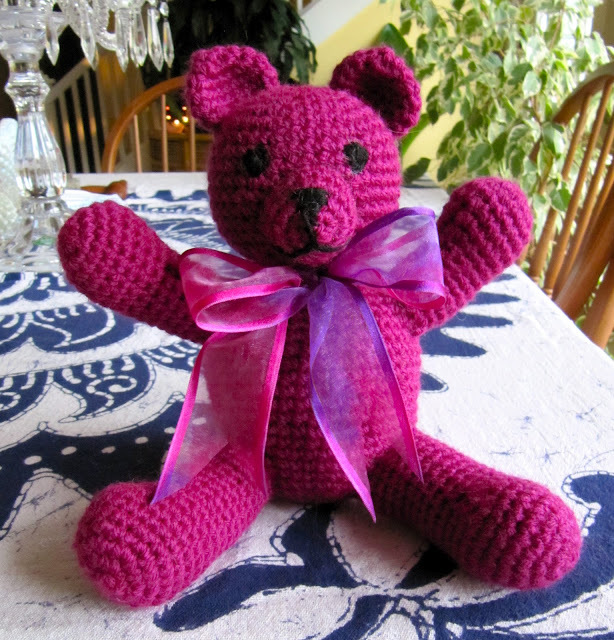 It was hard to get the true color of the bears - the yellow is richer yellow and the purple is Magenta/Fuchsia colored. I thought I'd show you a planter pot that I made years ago - I just came across it in the basement a few days ago. I made lots of pottery while taking classes at Mt. Hood Community College. These are my Sumi ink goldfish and jellyfish. I am going to plant something neat in this. I also wanted to show you the white wool I spun after I plied it, washed it and then it dried and I wound it up. I'm not sure what I'll do with this yet. Our Snowdrops are in bloom! I'm so happy to see flowers blooming in our yard. Spring is coming! Although.. the weather man on tv is just telling us Winter 2.0 is coming. No! I attended the Portland Chapter of the Daughters of the American Revolution meeting today and the speaker was very interesting. Her name is Rose High Bear and is an Alaskan Athabascan Indian and she's the Executive Director of "Wisdom of the Elders". Their mission is to record and share the rapidly vanishing and irreplaceable stories from the keepers of oral history. The values the elders extol represent an ancient legacy of knowledge which is becoming as endangered as disappearing species in today's fragile ecosystem. Your bears are adorable, and I think sometimes it is just worth the extra expense to mail something overnight. I'm sure the girls will enjoy the bears, especially since you made them. Those bears are perfect, I am sure it's worth every penny of the postage for your beautiful girls to receive them and know you were thinking of them on Valentine's Day. Just popping in to let you know I have given you the Versatile Blogger award. Enjoy the rest of your week. The bears look fabulous - bet the girls will love them. I LoVe the bears. Great job. You are so cool. The yarn, the pottery. Neat. Happy Valentine's Day. Hello Teresa. The bears are beautiful I am sure the girls will treasure them forever. Love the planter you made as well you are so clever. Just read you've been awarded the Versatile Blogger award - you so deserve it. I have a feeling Dayle will do anything for you. Love the bears and an arm and a leg is nothing, those girls will be so happy. Happy Valentine's Day, Teresa. How thrilled your litle granddaughters must be with their parcel and those adorable bears. Your pot is amazing, what a large piece to have created, you have so many talents. Hope you and your husband have a wonderful evening, wherever you decide to go! Tad's and Chicken and Dumplings. Lustful thought here. These bears are adorable!! (And I love the pot) But I was just curious if there was a pattern for the bears? I'm on my phone and can't really go on the hunt for one, so thought I'd just ask! Email me and I'll send you the free pattern. Gli orsetti sono molto belli e mi piacerebbe realizzarne uno. Come faccio x il pattern? La mia mail è patty66@libero.it. grazie mille. I love yhe bears.. Do u have the patterned u used for theses bears..? 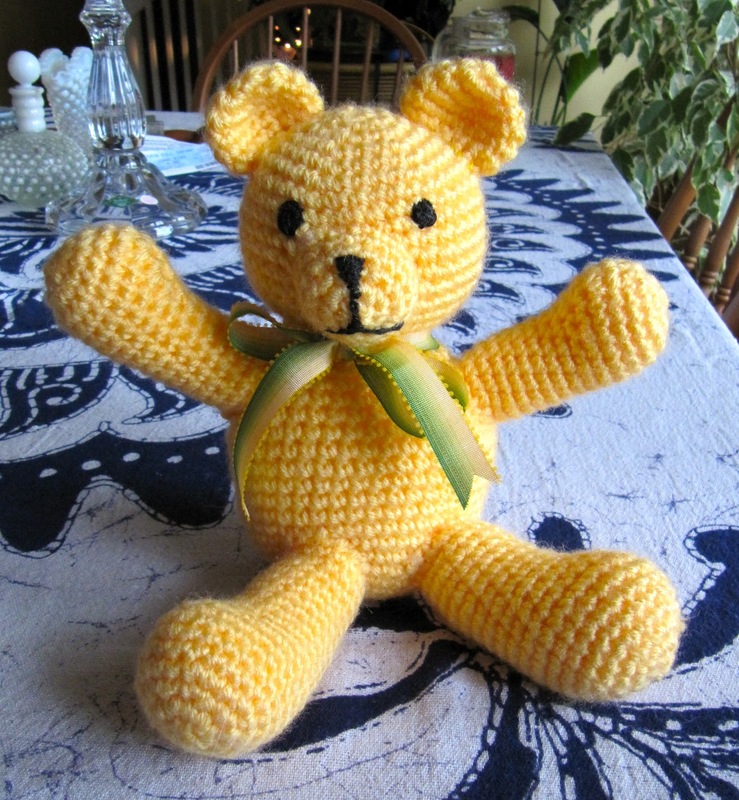 I love your bears and have been looking for a pattern to make one for my grand nephew. Could you share where you found the pattern, please? Thank you so much. I'll look for it.